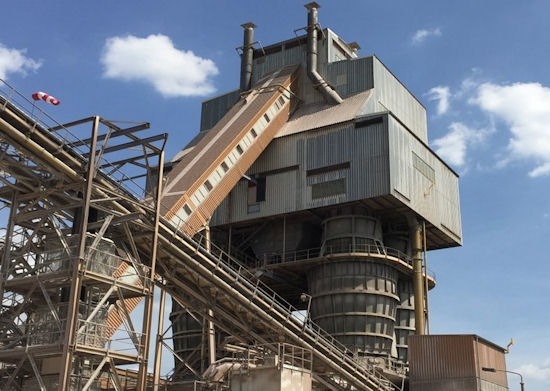 Nordkalk will take over the operations management of the world leading steel producer ArcelorMittal’s on-site lime kilns in Eisenhüttenstadt, Germany based on a long-term collaboration agreement signed on 14 March 2019. For Nordkalk this agreement represents an opportunity for growth in Central Europe using company’s extensive experience and capabilities in operating lime kilns. The limestone for the kilns will be delivered from Nordkalk’s quarries in Poland. Nordkalk and ArcelorMittal Eisenhüttenstadt foresee that the new collaboration is able to further improve the lime kiln operations in Eisenhüttenstadt and allows both parties to concentrate on their core businesses. Nordkalk will manage the operation of the lime kilns together with the kiln team from ArcelorMittal. Currently 16 persons are working at the kiln unit. “This is an opportunity for Nordkalk to leverage its competences in lime kiln management and extend this business model in a new geographical area. The takeover process will take some six months and parties expect to reach the full potential of the collaboration by 2021”, says Tarmo Tuominen, Deputy CEO of Nordkalk. Nordkalk is the leading company providing lim​estone-based products and solutions in Northern Europe. We deliver essential raw material to numerous industries such as the pulp, paper, metals, mining, construction and chemicals industry. Our solutions contribute to clean air and water as well as the productivity of agricultural land. With production in more than 20 locations in the Baltic Sea area, Central Europe, Norway and Turkey, we are always near our customers. The company employs 1000 people, and in 2018 its turnover amounted to EUR 300.1 million. N​ordkalk is owned by Ret​tig Group. ArcelorMittal is the world’s leading steel and mining company with annual achievable production capacity of approximately 113 million tonnes of crude steel, and some 199,000 employees across 60 countries.